A growing coalition whose mission is to broaden the reach and enhance the capacity of youth-serving organizations working within the Golden Gate National Recreation Area to better impact youth. The Park Youth Collaborative (PYC) is engaging educators to create quality, accessible park experiences for youth throughout the Bay Area. 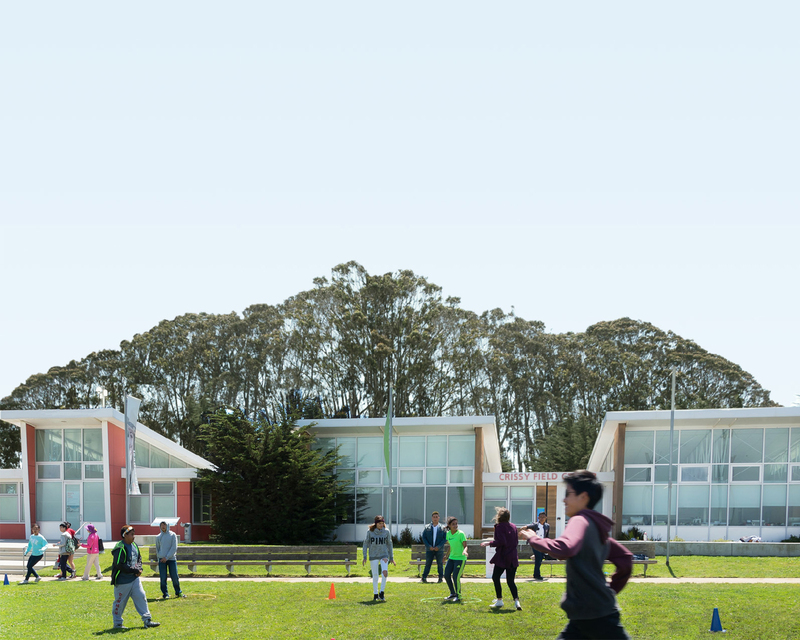 Conceived through the partnership of the Golden Gate National Parks Conservancy, National Park Service and Presidio Trust, the PYC is connecting park-based organizations invested in youth development and education, developing shared resources that raise youth programs to new levels of scale and impact. To see a full list of PYC Partners, click here. Park experiences improve the lives of young people and the voices and efforts of young people improve the park. The vision of the PYC is that youth throughout the Bay Area, especially those from communities underrepresented in national parks, have increased access to the Golden Gate National Recreation Area and benefit from the park’s wide range of youth leadership and educational opportunities. PYCcloud.com is a data entry platform for program managers that hosts a series of comprehensive tools designed to track and report youth program data. The site is also home to the Shared Measurement System, which managers can use to gather and compare program feedback that can support programmatic improvement and excellence. ParkYouthExchange.com (currently in Beta) is a one-stop shop for teachers and parents to discover youth opportunities being delivered across all of PYC's partner organizations. By searching the ParkYouthExchange site, users can find the information they need to sign up for exciting new youth programs and experiences, foregoing the time-consuming process of navigating to each organization's website individually. The Youth Portal is currently in development, and was conceived as a site primarily for youth. The development of the Youth Portal is heavily influenced by the outstanding work of the last two Youth Advisory Council cohorts; each Council has gathered data in surveys and focus groups that will inform the features of this website targeted at youth. Potential features could include youth profiles, career finders, gaming apps, and more. While parks can offer many incredible outdoor experiences, often it is the individual interaction of a staff member with a youth participant that can make all the difference in that young person's life. The PYC Professional Development initiative is founded on the principle that Professional Development should enable staff to systematically enhance their ability to serve youth in a meaningful way, and is a direct response to the desire for program staff to have equitable access to training. By developing systems for training together across organizations, PYC hopes to create a community of practice that encourages life-long learning, knowledge sharing, and new collaborations. Diversity Equity and Inclusion: Builds in-park expertise and ability to facilitate dialogue around sensitive issues such as race and relevancy to underrepresented communities. Youth Development: Ensures programs are employing best practices to engage youth and support their growth into capable, active citizens. Education Excellence: Supports staffs' ability to apply best teaching techniques and connect learning done in park programs to education in the classroom. Experts in these topics were brought in to train the cohorts, providing resources and strategies to tackle each of these topics. Now that these trainings are complete, cohort members are leading trainings for other park staff in their respective topics. Access: Promoting the elimination of physical, socio-economic, and cultural barriers for youth in our parks. Safety: Ensuring a program environment where youth and staff are physically and emotionally secure, and making sure youth feel comfortable and are respected and accepted for who they are. Engagement: Providing opportunities for meaningful youth participation & leadership, promoting confidence among youth, and building positive relationships among participants and staff. Programmatic Excellence: Ensuring that staff demonstrate and integrate best practices in youth development, multicultural approaches, and place-based learning. Impact: Giving participants opportunities to strengthen and explore their skills and connecting them to larger community issues, their natural heritage, and programmatic pathways to stay involved in the park. To do this, assessment data based on the above principles is collected via the Online Portal to provide a standardized view of the effectiveness of park programs. This information will be used to inform further studies of the ability of park programs to positively impact the lives of young people. Throughout the development of PYC, program staff from across the park have highlighted a lack of viable transportation as one of the primary barriers keeping youth from participating in programs. In an effort to remove this barrier, PYC established the Transportation initiative. Identify communities with the greatest need for access and how to prioritize them. Identify challenges to transportation that prevent participants from coming into the park. Understand and prepare for future transportation needs. Find resources that could be supplementary (local transit) to the PYC’s transportation mission. In addressing these items, PYC hopes to pave the way for more youth from diverse communities to experience the unique opportunities offered by the park. The Youth Advisory Council was created to address the need for youth input in PYC's work. For more information, check out the Youth Advisory Council page.